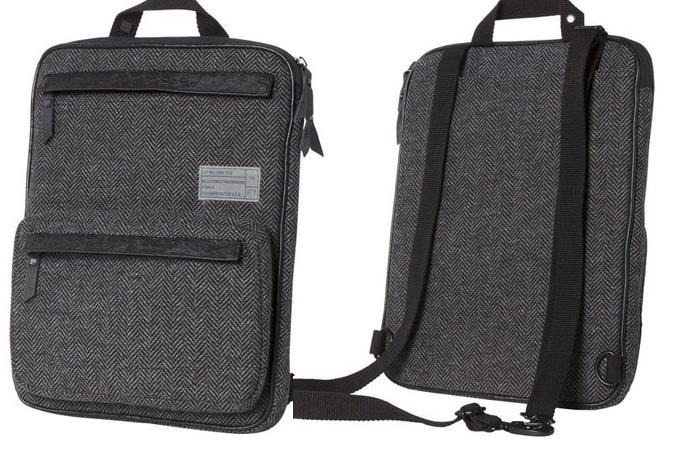 To school, the coffee shop, or the park these minimalistic, thoughtfully designed, and well constructed Hex Convertible laptop sleeves can allow you to take your business anywhere. It's constructed in premium, water resistant, waxed reverse denim packaged in a slim profile padded and fleece-lined sleeve in an assortment of colorways for the 13" MacBook Pro or MacBook Air. 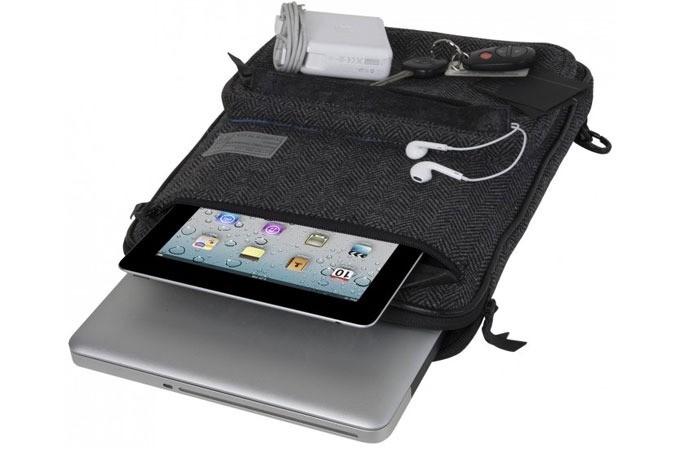 There's even a separate front storage pocket (also padded and fleece-lined) for iPad as well as an additional front accessory pocket for cables and plugs. The unique surplus grade strapping system is what makes this bag really sing. Straps can be tucked away in the rear pocket and hidden from view leaving only a clean sleeve with a top carry handle. 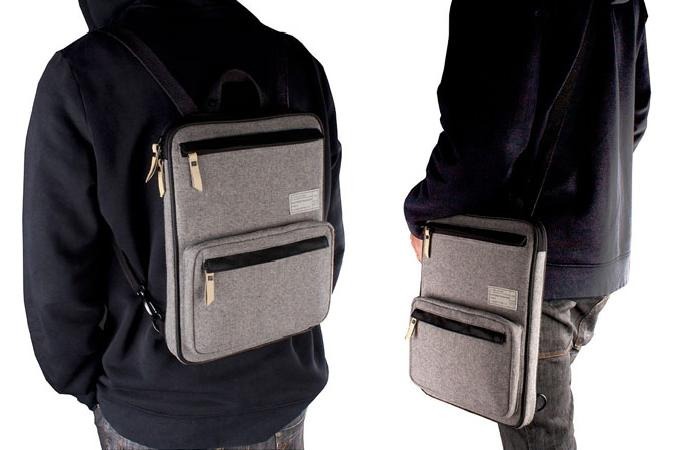 Or the straps can emerge allowing the bag to be worn as a backpack and can even be connected together to allow the bag to be worn as a cross body – your choice.